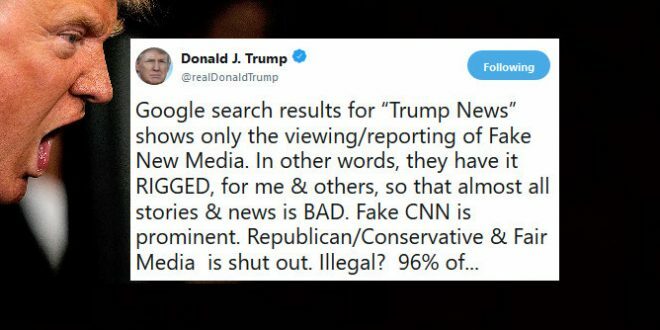 Trump Threatens Google Over "Rigged" Search Results - Joe.My.God. The perceived leftwing bias of big tech companies has become a major talking point for conservatives. And this morning on Twitter, President Trump escalated their claims. Trump’s “96%” claim apparently comes from a single article on the far-right PJ Media site which was spread widely in the pro-Trump ecosystem over the weekend thanks to homocon Matt Drudge.